Yes, I am well aware that it is late summer, almost fall. BUT, I have to show you this adorable kit I just worked with. I love all the boyishly blue, green, brown colors. 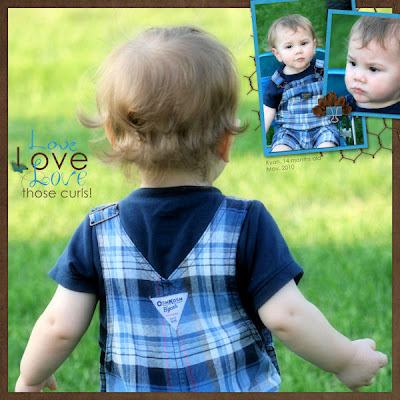 It works so well for little boy pictures that you don't HAVE to wait for spring to use it. 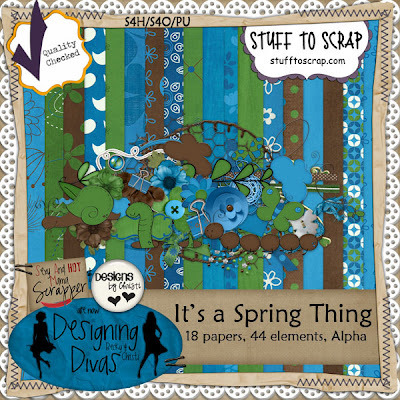 It's called It's a Spring Thing from the Designing Divas (Designs by Christi and SAHM Scrapper). I used it to created a couple layouts for some of this month's challenges. First up is the August Song Lyric Challenge. "All You Need is Love" by the Beatles provided the Love, Love, Love portion of the title on this page. 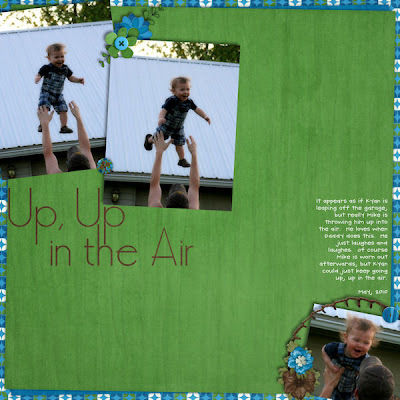 This next layout was created for the August Font Challenge. We were given Premi as the font, and I used it in my title.